Nearly eight out of ten Americans say they felt a strong sense of gratitude in the past week and yet, that is not always reflected in what we value and how we behave. Our guest this week on BetterWorldians Radio, author Diana Butler Bass, calls it the “gratitude gap.” She’ll tell listeners how this gap is affecting both our personal and public lives and what we can do about it. She’ll share the four different gratitude styles and her surprising take on thank you notes. 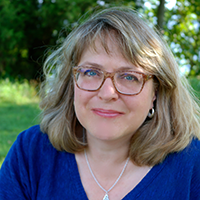 Diana Butler Bass is an author, speaker, and independent scholar specializing in American religion and culture. She holds a Ph.D. in religious studies from Duke University and is the award-winning author of ten books, including Grounded: Finding God in the World —A Spiritual Revolution, Christianity After Religion: The End of Church and the Birth of a New Spiritual Awakening, and Christianity for the Rest of Us: How the Neighborhood Church is Transforming the Faith. 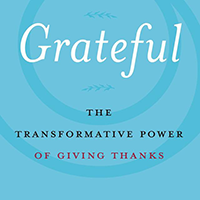 Grateful: The Transformative Power of Giving Thanks was released on April 3, 2018.